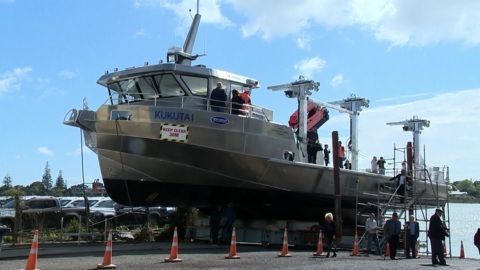 Whakatohea Mussels' new ship, the Kukutai, has been launched in Tāmaki Makaurau. Two-hundred kākahi are set to be translocated to Zealandia this weekend, with the help of local iwi around Wellington. Some Te Whakatōhea youth will soon learn to build an ocean vessel with the builders of New Zealand's Black Magic who won the America's Cup in 1995. 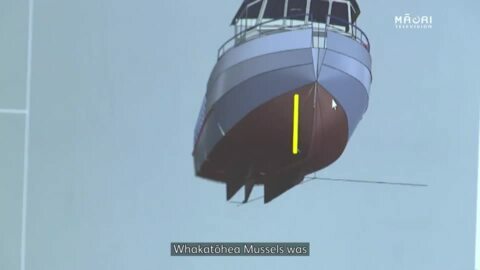 McMullen and Wing have partnered with Whakatōhea Iwi and Whakatōhea Mussels to build the vessel in an effort to create employment for the region and its young people. Twenty years ago Whakatōhea iwi had a vision to run its own mussel business. Now, the dream has come true - and Native Affairs were there last year to see how the new farm will help the Opotiki community in the Bay of Plenty. 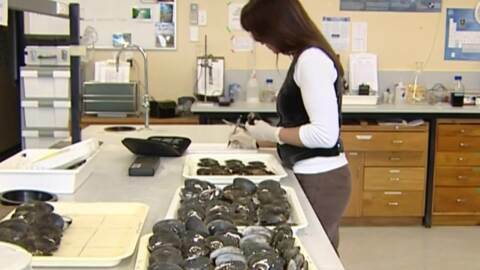 In the Bay of Plenty, a marine ecologist is warning of a rapid decline in mussel numbers in the Ohiwa harbour. Twenty years ago, Whakatōhea iwi had the vision to run its own mussel business. Now, the dream has come true and we were there to see how the new farm will help the local Ōpōtiki community. The Whakatōhea tribe is celebrating its first harvest of mussels from its own offshore farm in the eastern Bay of Plenty.